For over half a century, television has been the most central medium in Western democracies – the political, social and cultural centrepiece of the public sphere. Television has therefore rarely been studied in isolation from its socio-cultural and political context; there is always something important at stake when the forms and functions of television are on the agenda. The digitisation of television concerns the production, contents, distribution and reception of the medium, but also its position in the overall, largely digitised media system and public sphere where the internet plays a decisive role. The articles in this comprehensive collection are written by some of the world’s most prominent scholars in the field of media, communication and cultural studies, including critical film and television studies. 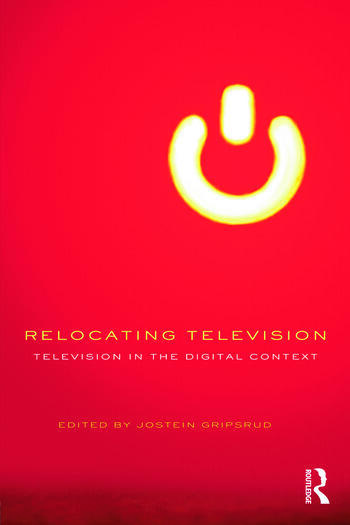 Relocating Television offers readers an insight into studying television alongside the internet, participatory media and other technocultural phenomena such as DVDs, user-generated content and everyday digital media production. It also focuses on more specific programmes and phenomena, including The Wire, MSN, amateur footage in TV news, Bollywoodization of TV news, YouTube, fan sites tied to e.g. Grey's Anatomy and X Factor. Relocating Television will be highly beneficial to both students and academics across a wide range of undergraduate and postgraduate courses including media, communication and cultural studies, and television and film studies. Jostein Gripsrud is Professor in the Department of Information Science and Media Studies at the University of Bergen, Norway, and leader of the DigiCult research group. He has published extensively in several languages on theatre, popular literature, film history, television, journalism, popular music, media and cultural policy and relevant social and cultural theory for all of these media, genres and cultural forms. Previous publications include Understanding Media Culture (2002) and Media, Markets and Public Spheres (co-editor and contributor, 2010).